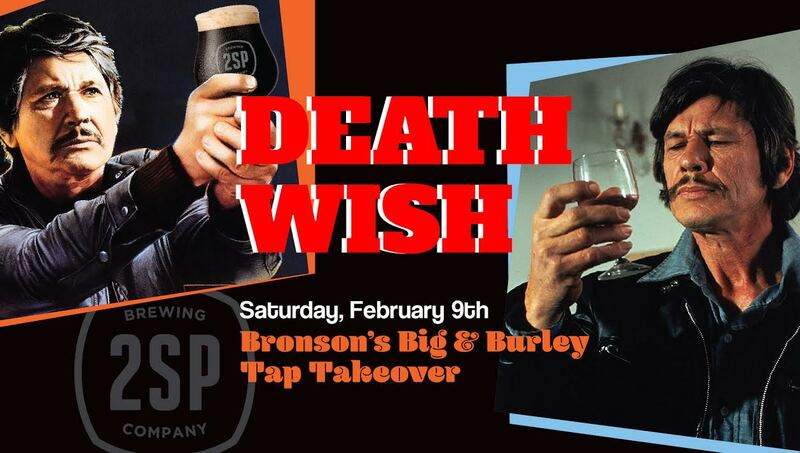 Death Wish, Bronson’s Big & Burley Tap Takeover is coming to the tasting room on Saturday, Feb 9th. All day event, Noon-10pm! We’ll be tapping TEN big brews. Our parking lot does not tow!